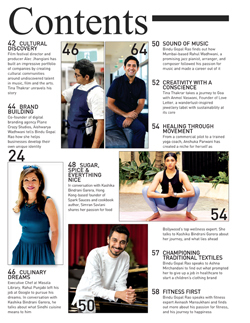 The very first of its kind, this plush quarterly is dedicated to chronicling the ethos, enterprise, and aplomb of the Sindhi community. A Magazine that brings you Insights into Sindhi History, its Culture and its People. 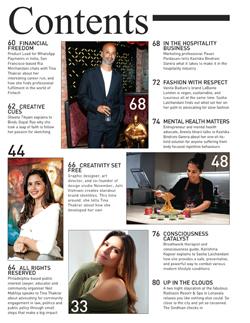 A Magazine that takes you places and showcases Sindhis from all over the world. A Magazine that informs and connects Sindhis globally. It was an honour to be invited as Guest of Honour at the Cheti Chand function in Vadorara. It was organized by The Baroda Chapter of The Global Sindhi Council and was called Suhini Raat Sindhiyat Ji. 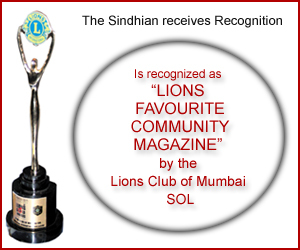 The Sindhian was honoured with the Sahyog-Sahyadri Sindhu Award at the Doordarshan premises at Worli in Mumbai in March 2013. The award was for excellence in the field of publishing. THE SINDHIAN GOES DIGITAL !!! 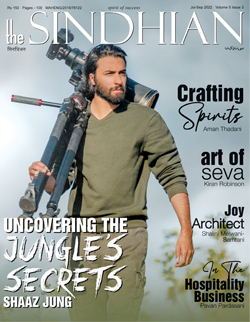 From Diwali 2012,The Sindhian is available for a single issue purchase or subscription in a DIGITAL format too. 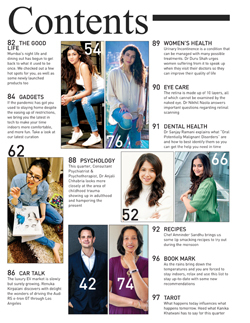 You can Flip pages as you would in a real magazine, yet read it anytime from anywhere in the world. Promote your community magazine. Tell your friends & family, or if you feel generous, gift them a single copy or a subscription. Visit MAGSTER & buy your copy today! Visit READWHERE & buy your copy today! Copyright © 2019 The Sindhian. All rights reserved.